Entries are currently closed as the 2018 Masters Tournament is underway. You can still fill out the form below to be notified of our next contest. And we will notify you of our next golf giveaway. It won’t be long before more great prizes are up for grabs again! On average, how many rounds of golf do you play in a year? *If you are already a Fairways Golf Member or Join The Fairways Golf Membership prior to winning the grand prize, you will receive a $400 voucher towards your cart fees. Or, you may give the membership to someone of your choosing. Simply fill out the entry form above with your First Name, Last Name, Email Address and your pick to win The 2018 Masters Tournament. 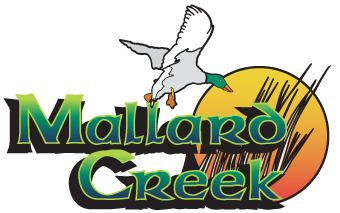 If you pick the winner correctly, you will automatically win an 18-hole greens fee good any day at Mallard Creek. If you are the only person to have picked the winner, then you will automatically win the grand prize as well. If you and a group of others all selected the same winner (i.e. : Tiger Woods), then you will all automatically receive the free 18-holes greens fee. From the group of participants who selected the winner, we will then randomly select the grand prize winner from that group. Example: 100 people participate and 25 pick Tiger Woods to win. Tiger Woods does win, so all 25 participants will receive the free 18-hole greens fee. To determine the grand prize winner, we will alphabetize the 25 names on a list and pick a random number (1-25) out of a hat and that is the grand prize winner. All entries must be in by Wednesday, April 4 at 11:59 p.m. Once placed, You cannot change the golfer you have selected. Any prizes won are not redeemable for cash value or trade-in. You must fully complete and submit the entry form. Unsubscribing from the email list voids your entry and ability to claim prize(s). Best of luck!